AcceleDent is a new FDA approved treatment that is currently offered in Dr. Jacquie Smile’s Syosset Long Island, NY office to accelerate treatment times for braces and orthodontic appliances. Instead of wearing traditional braces for up to two years, Acceledent may reduce the length of treatment for adults, teens and children to less than one year with faster orthodontics to help you adjust and straighten your teeth in no time. Accelerated orthodontics helps in addressing the straightening, spacing, closing of gaps and re-positioning of your teeth. 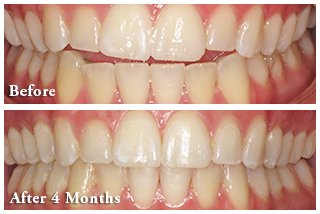 This treatment takes only about 3 to 9 months to achieve the desired smile you have always wanted through braces. Dr. Jacque Smiles specializes in accelerated orthodontics for her patients in Syosset, NY in half the time. Whether it is for adults or teenagers, our fast track and speed orthodontics treatments will help you achieve the smiles you always wanted. Call Dr. Jacquie Smiles today to learn more about accelerated orthodontics treatment at 845-827-1149 or fill out the contact form to receive additional information. AcceleDent works by inserting a special mouthpiece with the pulse activator for 20 minutes a day. 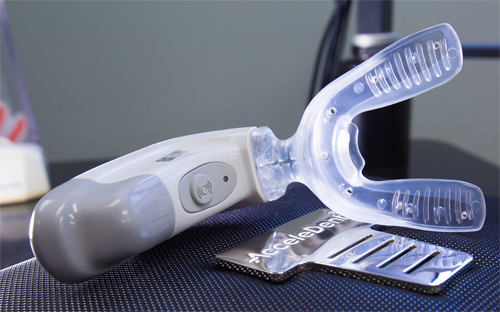 It uses gentle micropulses, called SoftPulse Technology® allowing movement of your teeth. Fitted around your existing braces AcceleDent can speed up tooth movement decreasing the duration of your orthodontic treatment. This patented technology will very gently vibrate through your teeth and gums to gently move shift into position and accelerate tooth movement guided by your existing orthodontic appliance and treatments. In order for the Acceledent procedure to be effective, patients really need to commit to at least 20 minutes a day. 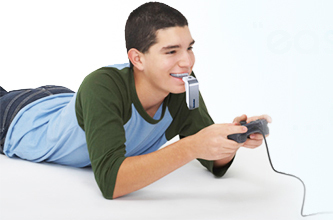 AcceleDent is easy to use. Simply press the removable mouthpiece into the activator, bite down firmly enough to hold the device in place and turn it on. Relax while you watch TV, read a book or listen to music during the required 20 minutes to use AcceleDent to function effectively. With this new technology, Dr. Jacquie Smiles can provide orthodontic treatment options for correcting and straightening teeth much quicker than ever before! To learn more about accelerated orthodontics treatment with AcceleDent in Syosset, NY, please call us at 845-827-1149 for your free consultation.